Not many of us have seen something like we saw on Monday night, so how will both teams respond in Game 3? 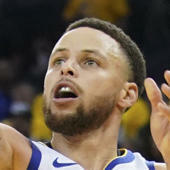 The defending champion Golden State Warriors suddenly find themselves in a bit of trouble against the No. 8 seeded Los Angeles Clippers and now they will have to try to bounce back in Game 3 when they visit the Clippers at Staples Center on Thursday night. The West's top-ranked team somehow blew a 31-point lead in the third quarter and fell to the Clippers 135-131 in Game 2 on Monday night. It represents the largest playoff comeback in NBA history, topping when the 1989 Los Angeles Lakers came back from 29 points down vs. the Seattle SuperSonics. While that terrible loss was certainly bad enough, it doesn't stop there -- DeMarcus Cousins suffered a torn quad when he exited Game 2 after hustling for a loose ball, and will not play in the rest of this series. Who wins Game 3 of Warriors vs. Clippers? And which side of the spread hits in over 50 percent of simulations? Visit SportsLine now to find out which side of the spread you should be all over Thursday, all from the model that's up more than $3,500 on top-rated NBA picks this season.